I used to make broccoli this way all the time. Then some how I forgot about it. I need to put this here so that it doesn’t get forgotten again. This is hands down my favorite way to have it. The kids used to like broccoli but recently they have all been doing their best to avoid it. So today I made a bunch of this and offered it as an appetizer when I knew they were hungry. All 3 of them enthusiastically finished all of it. Score! Preheat oven to 400 degrees. 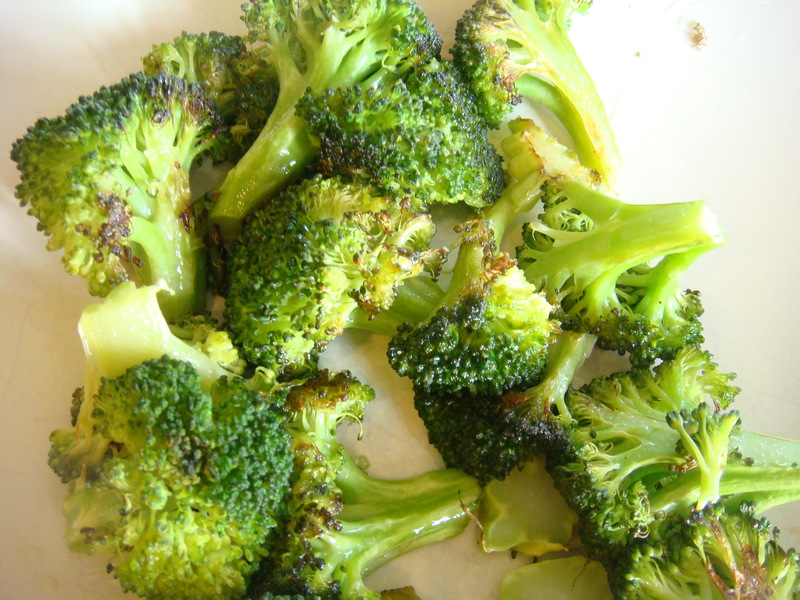 Break clean broccoli into florets. On a cookie sheet, drizzle with olive oil and sprinkle with some kosher salt. Roast for 10-15 minutes until they are done to your liking. I have been trying to decrease my intake of sugar and simple carbs. I usually don’t really have a sweet tooth but because I am trying not to eat sugar I am therefore craving it. So this morning I wanted to make a cookie that would satisfy my craving for something sweet but would still be lower in carbs and even offer some nutrition. 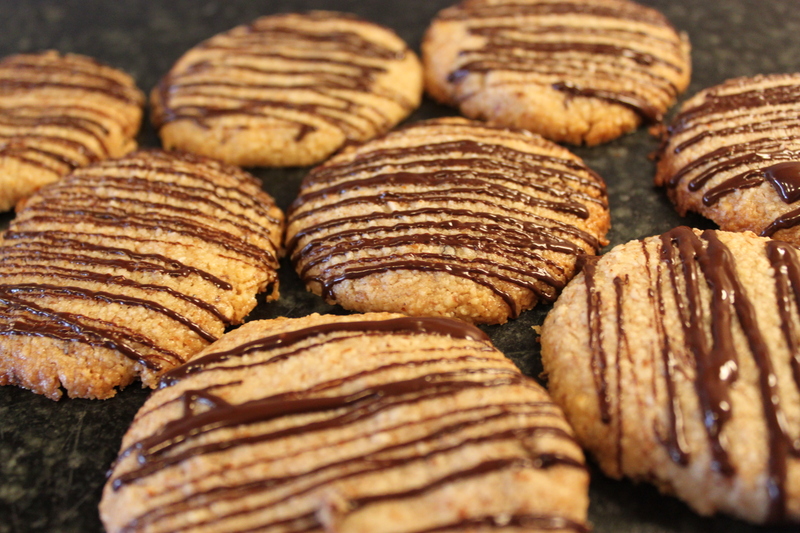 These cookies are gluten free, dairy free, egg free, soy and corn free and very low in sugar. They are sweetened with a bit of honey. What they are not is taste free. They are surprisingly good. Additionally they are high in fiber and are incredibly satisfying. And Yes! the kids and husband actually like them. Store them in the fridge and feel free to use these as a healthy snack in between meals. In a food processor add almonds and process until you have as fine a meal as your machine will make. Add remaining ingredients and process for another minute or two. When you see the “dough” coming into a ball it is done. If it doesn’t come into a ball, keep adding more oil until it comes together. The oil is what holds the cookies together. Line cookie sheets with parchment paper. Take teaspoons full and roll into balls and press down into discs about 1/2 inch thick. Bake in preheated 350 degree oven for 10 minutes until they are just starting to brown. While cookies are baking, slowly melt melt chocolate in a small nonstick pot. When cookies are done let them cool for a bit then drizzle chocolate over top. Store in the fridge.